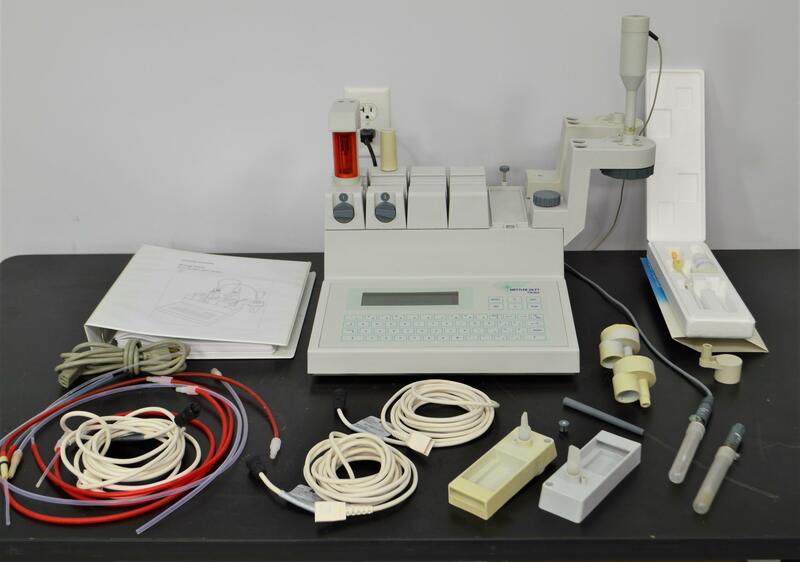 Mettler Toledo DL77 Automatic Titrator w/ Assorted Tubes & Accessories . New Life Scientific, Inc. Powers on and Initializes. 90-Day Warranty. Our in-house technician inspected and tested this Mettler Toledo DL77 Titrator, confirming it powers on and initializes. Technician tested auxiliary functions such as burettes, stirrer, and sensors. 19 x 16 x 12 in.